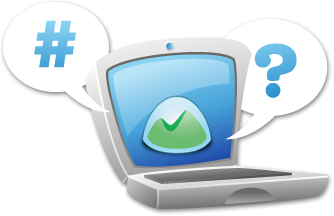 Basecamp is a registered trademark of 37signals, LLC in the United States and other countries. TeamWork Live is a trademark of CollectiveSoft LLC. Copyright © 2019 CollectiveSoft LLC. All rights reserved. 30-day free trial. Sign up in 60 seconds. Import your projects in minutes. Frustrated by the limitations of Basecamp? Imagine how much more productive you would be with a project management and collaboration tool that actually does what you need. TeamWork Live is an easy-to-use Basecamp alternative with more of those features. Best of all, you can get up and running in minutes using our Basecamp import tool. It is easy to get started with either apps. Both apps support project templates, which are pre-populated projects that can be used to create new projects. Both apps support group chat, which allows you discuss your projects and share files in real-time with your team members and clients. Both apps support time tracking. Only TeamWork Live includes a built-in timer that you can use to automatically track your time. Both apps have email integration which allows you to reply to messages and add comments via email. Only TeamWork Live allows you to also create milestones, tasks, and documents via email. If you have multiple Basecamp accounts, you will not be able to get a unified view of all your projects from your dashboard since your projects will be spread across multiple accounts. With TeamWork Live, you will only ever need one account for all of your projects and your dashboard gives you a unified view of them. TeamWork Live's integrated messaging system allows you to send messages that are automatically linked to your milestones, tasks, and documents. You no longer have to manually look for relevant messages as they will always be associated with the item you are viewing. TeamWork Live allows you to specify access permissions for individual items. Instead of spreading related information across different project sections, TeamWork Live automatically groups related information together for you for easy access. For example, all files, messages, comments, and other information related to a task are grouped together in a single page with the task. You can specify that a task needs to be completed by all assigned people or by just one of them. If you have things that you need to do on a regular basis, you can create a repeating task and never forget to do it again. Assign people to be notified when tasks are completed. Approvers can either approve the task or reopen if for additional work. Ensure that tasks get completed on time. Assigned people are automatically reminded when tasks are due by either email or SMS text message. To save you time, the notification emails that you receive when project items are modified will show you the actual changes that were made. Specify a budget for your projects and we will keep track of it and notify you when you reach it. Our simple but powerful reports give you insight into how your projects are progressing and allow you to quickly see which projects need your attention. Attach Google Docs files to you documents, milestones, tasks, comments, and messages and share them with your team members and clients just like regular files. Basecamp only allows you to have one administrator per project. TeamWork Live allows you to have multiple administrators to give you flexibility in how you manage your projects. TeamWork Live has a range of configuration options so you can customize the site to fit the way you work. Need more convincing? Take the tour and see more features that you won't be able to live without.